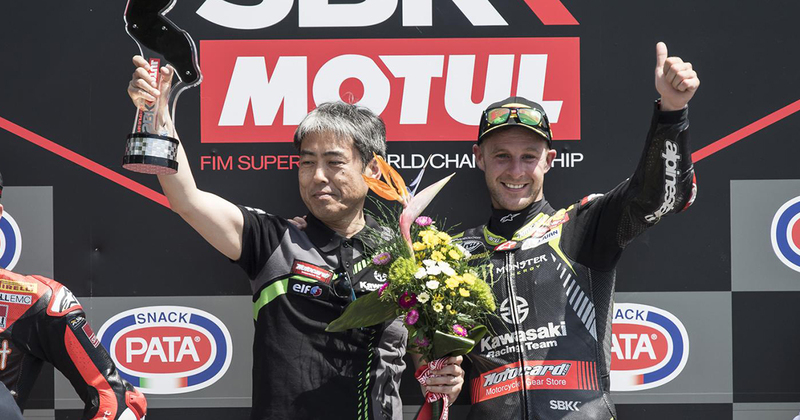 In taking his first double race win of the season at Imola today Jonathan Rea (KRT) made WorldSBK history by equalling the all-time record of 59 career race wins. He now shares that honour with WorldSBK legend Carl Fogarty. Tom Sykes (KRT) finished a fighting third in race two, after sharing a third row starting position with Rea.